The shower stall is the place where we start our day and end it. Therefore, it is important in what conditions you take your shower. Glass shower doors have become a big trend in their field. Now every shower is dominated by such an element. Based on this, we picked up the hot trends of shower doors this year. 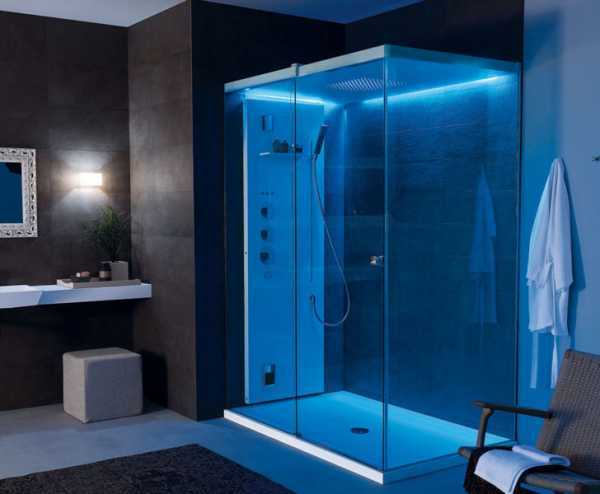 The first trend is a combination of transparent glass doors with the same walls of the shower. Sometimes beauty is in simplicity. 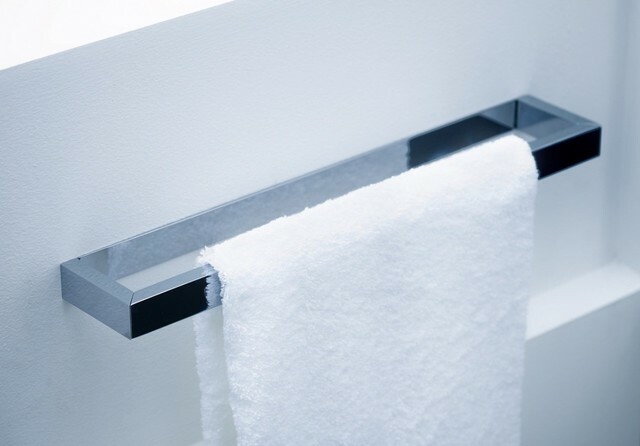 This design is very comfortable and stylish, especially for small bathrooms. Visually, the shower stall does not take up much space due to the door material, that is, clear glass. The second trend is the drawings on the glass. If you still want to paint in your bathroom, then this idea is for you. You can choose any pattern that decorate your shower door. In general, there is where to play your fantasy. The third trend is the new shape of the glass door. Glass is a material with which you can experiment and it will not let you down in quality and strength. Choosing a convex shape of the door you will expand the space in the shower and make the interior of the bathroom even more stylish. This form will not give you any inconvenience, but will only please you in future use. The fourth trend is the highlight. What could be cooler when you take a shower with a multi-colored lights. Changing the colors around the shower door will help you relax even more and enjoy the shower. This is a great solution for a design that will become modern and incredible. Thanks to these trends, you will breathe new life into your bathroom and it will play a new way. A shower is a place where you can relax after a hard day’s work, have a good rest, literally wash off fatigue. That’s why the shower place has to be comfortable. Every detail matters, including shower doors. 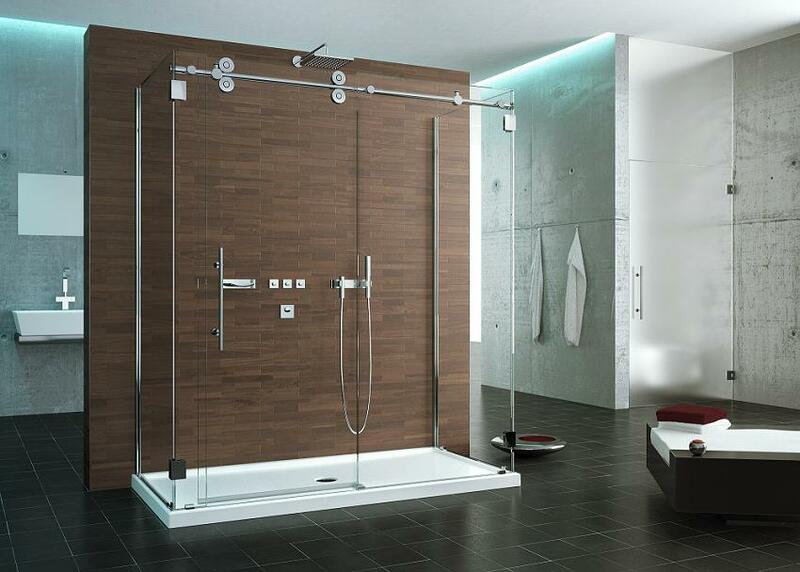 Glass shower doors became very popular recently. Such a door is not made of ordinary glass, but of tempered glass, of course. The possibility of fastening to a concrete or brick wall, walls from plasterboard. Can be fixed to the ceiling - concrete, plasterboard, or suspended. The presence of a large gap between the edge of the door and the ceiling. Fastening the door to the wall or partition (to its stationary part). As a rule, the stationary part of the partition must be not less than 300 mm in width. The location of the loops, left or right. The need for seals for gaps near the hinges (splashes can penetrate through the gaps beyond the shower cabin). The organization of the flow of water - the presence of a curb, the slope of the floor in the direction of the flow, a recess in the floor. It is worth remembering that even in the presence of seals it is impossible to gather water into the shower cabin, stopping the flow of water. Partitions are designed only for sprays, and not for the retention of water masses. The tempered glass is one of the most demanded materials in the construction sphere today. And not without reason, because it has many positive qualities. The technology of tempering glass is very simple: glass is heated to 600-700 ° C degrees, and then quickly evenly cooled. 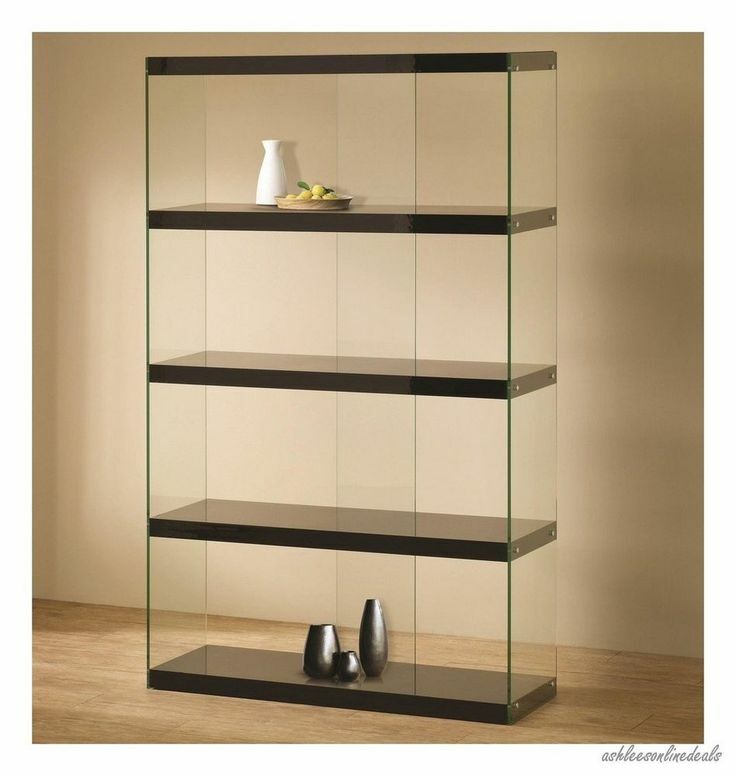 After this, the glass acquires greater strength, it becomes almost impossible to break it. 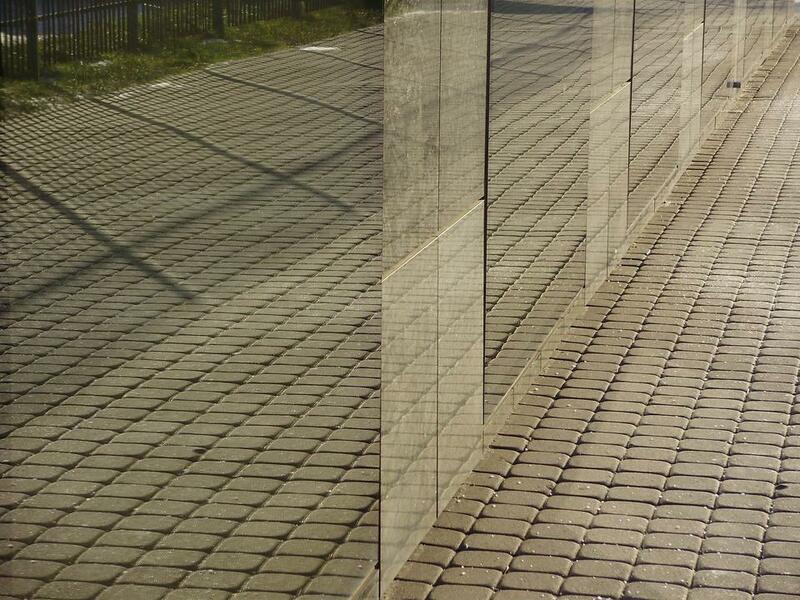 Giovani Glass guarantees you will receive the qualitative product made in strict accordance with your representations. 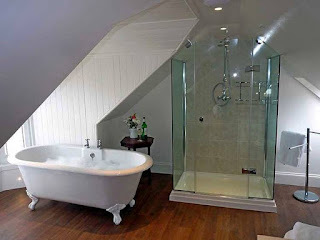 A glass shower cabin is a great alternative to a bathtub in conditions of lack of space or, on the contrary, an excellent addition to it, if there is a lot of space. The glass shower brings only joy and delivers as little trouble as possible, but it is important to know a few basic rules for its maintenance at home. 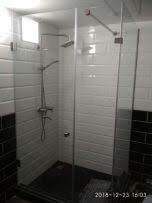 The main issue of operating a home glass shower is, of course, to provide protection against leakage. In order for such protection to be as high as possible, first of all, it is necessary to use a special transparent silicone sealant between the glass and the floor or the shower tray: it will reliably protect the joint from water leakage and help keep the floor outside the cabin dry and clean. The second important point in this matter is the proper use of shower equipment. For example, you should not intentionally direct water jets directly to the walls and doors of the shower cabin, because even if there are special seals in the cabin, the cabin is not 100% tight at the attachment points for hinges and other fittings, and water that has got here can leak out. 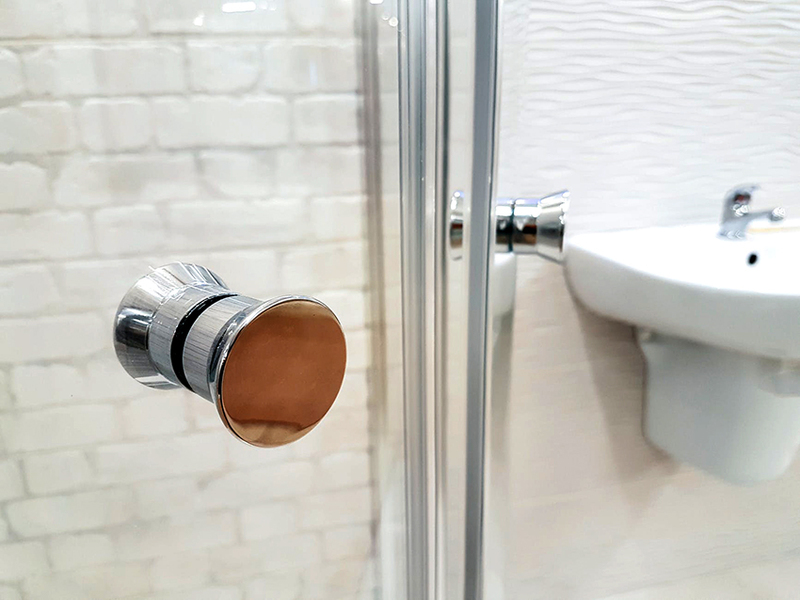 Finally, another important nuance of protecting the glass shower from leaking is a timely replacement of consumables, because water can flow out of the cabin through a worn sealer, a "leaky" layer of sealant or "loose" loops. If all precautions to protect the cabin from leakage are taken, it will work properly. For example, the main measures for the care of a home glass shower cabin include only regular cleaning of glass and accessories from hygiene, lime deposits or other contaminants. But you should not use abrasive cleansers. When properly handled, the glass shower will work extremely long, delighting with the brilliance of transparent faces and the shine of metal elements. It remains only to choose the right cabin for your bathroom and find a reliable manufacturer. 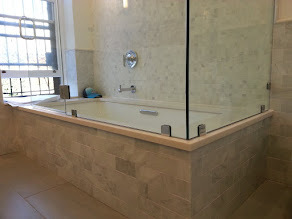 Giovani Glass offers services for the design, manufacture, and installation of glass showers and shower doors for both private households and for various hotels, sports clubs, spas, etc. • A flat glass door surface provides high protection against splashes. Curtain or screen of translucent polyethylene can hardly cope with this task. IMPORTANT! The glass door is an absolutely inert material, pathogenic microflora cannot live on its surface. Even if you use sanitary products daily, there will not be any noticeable change in the appearance of the glass door after a couple of years. The glass has its drawbacks. 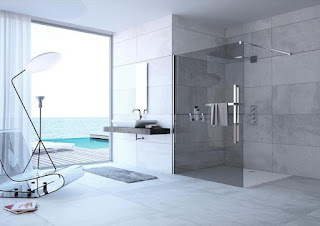 Transparent glass door designs are an excellent indicator of cleanliness and order in the shower. Drops of hot water and condensate film, drying out, leave traces on a transparent surface. Any water in the water pipeline carries a certain amount of dissolved salts, leaving marks on the glass. 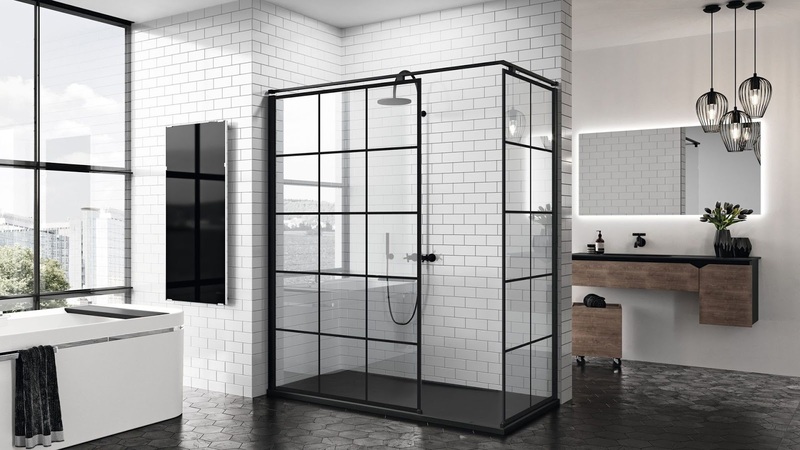 Therefore, a completely transparent glass door to the shower will require treatment with special compounds that prevent wetting and sticking of water droplets to the glass. Sometimes the surface of the glass is sealed with an anti-wetting polymer film, which guarantees a long-lasting purity effect for several months. In addition, it is believed that the film increases the level of safety of handling glass, when breaking the glass surface there will be no sharp fragments. 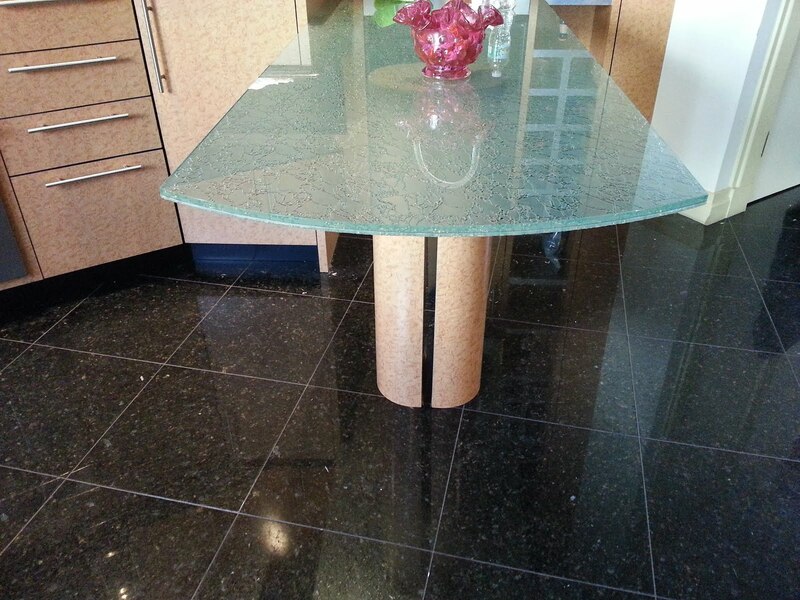 Giovani Glass will satisfy the most sophisticated taste. We will produce a shower glass door of your dream. During repair, there comes a stage when it is necessary to buy interior doors but choosing the appropriate option is not so easy. There are lots of standard models in stores that do not perform any aesthetic functions. But the glass doors are known for their spectacular appearance, and the huge possibilities in terms of decor will allow you to realize the most creative solutions. Look at the photo of interior doors made of glass: they seem so light, airy, weightless. 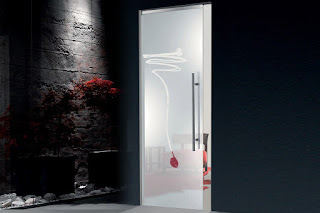 Visual expansion of the space is one of the most important advantages of such doors. They do not provide successful zoning, but do it as efficiently as possible, expanding it. Although the glass doors look fragile, they are made of laminated tempered glass. They are not afraid of any children's ball games, pets, or impacts. Even in rare cases, when the door is broken it falls apart into rounded fragments. They are not harmful to your health. The doors are resistant to physical stress, humidity, a sharp temperature drop. Armed with any means for cleaning glass and a soft cloth, you will return the doors to their original look in a minute. Fingerprints and other contaminants will be removed with one hand movement. The glass is an eco-friendly and hypoallergenic material. 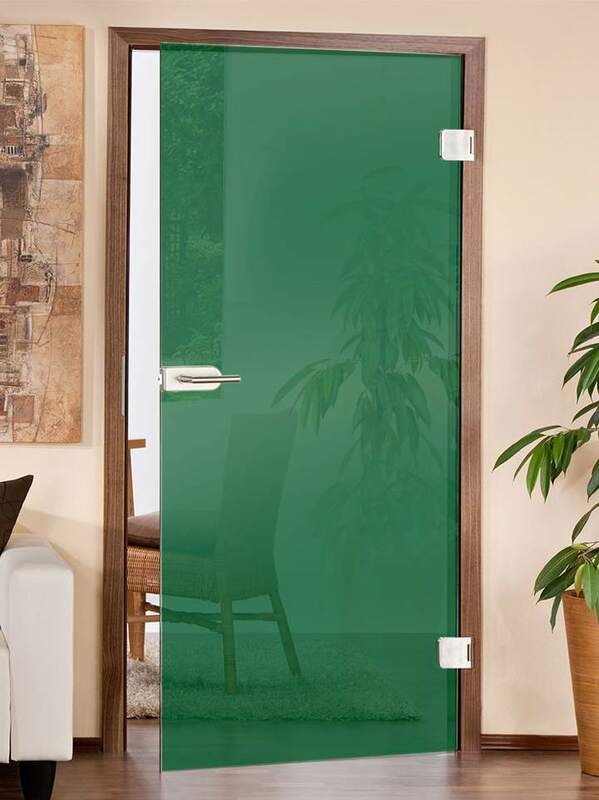 Therefore, glass doors can be installed in children's rooms, saunas, bathrooms, beauty treatments, and medical centers. Today, technologies allow decorating doors as you wish. Even by simple sandblasting designers of Giovani Glass can create a variety of amazing and organic designs, from the most classic to high- tech options. installation of restraints at the bottom and stoppers of the roller mechanism. Before installing doors on rollers, you need to check their integrity and quality of sealants. Neglect can lead to water leakage and vapor penetration into the room. Typically, sealants serve properly for a year, then they lose elasticity and get covered with cracks. The choice of accessories is a final, but equally important step in installing a glass door for a bath or shower. One of the main elements is the loop. They must correspond to the intended load, be made of durable metal and covered with anti-corrosion agent. 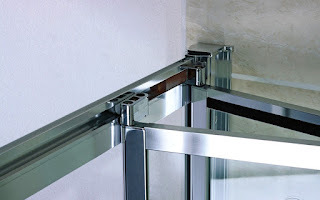 In this respect, chrome, brass, nickel, bronze and steel hinges are suitable. The choice of shower door handles is quite diverse. They may look like handles-staples, handle - knobs or handle-plates. Door handles can be simple or patterned. They are installed only on the outside or on both sides, fastened with screws with special rubber washers. Angled, linear and high-rise connectors give the shower cabin an attractive look and provide tight joints. The size of the connector angle corresponds to the corners of the construction. This value can be equal to a 90 ° straight angle or be of a higher value.